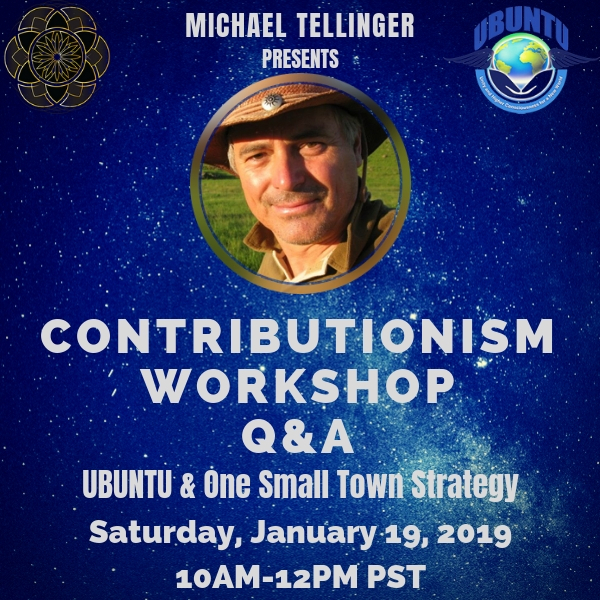 Join Michael Tellinger for this online workshop and Q&A to discuss UBUNTU & Contributionism. Awareness of UBUNTU is picking up world wide. This is the launch of a series of UBUNTU webinars for the entire year in which we will be discussing new information and receive updates on the progress of UBUNTU world wide. We will also have updates from regional coordinators. This is a call to action for 2019 and on ward. UBUNTU and One Small Town Implementation... Success and Lessons in Various Countries - USA, Canada, UK, Australia, Sweden, and South Africa. There is Rapid Progress All Over the World. Michael Tellinger is one of South Africa’s bestselling export authors whose books have been translated into more than eight languages. He has become a real-life Indiana Jones, making ground-breaking discoveries about vanished civilizations in southern Africa. Michael holds a B. Pharm degree from WITS University, Johannesburg, South Africa. He is a scientist in the true sense of the word, never shying away from controversial issues, scrutinising every clue meticulously. His research clearly connects southern Africa to many well recognised ancient cultures like the Sumerians, Dravidians, Romans, Greeks, Egyptians, Phoenicians, the Incas, and even the mysterious Anunnaki, of the Sumerian culture. His unconventional scientific approach has produced stunning evidence that will force us to rethink our origins and rewrite our history books. In this book Tellinger reveals more than 10 million stone ruins in southern Africa, which are neither dwellings for people, nor enclosures for animals, but rather energy generating devices, emitting very powerful sound frequencies and electro-magnetic waves. His doughnut shaped Torus Stone that crashed the TSA security systems at Doha International Airport in July 2013, has sparked the imagination of the global scientific fraternity, suggesting that the stone circles of South Africa may be a clue to delivering a source of free energy to the people of the world. 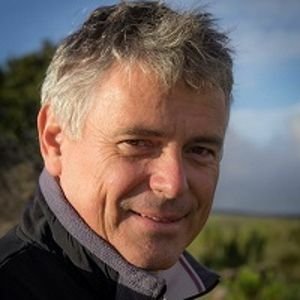 Michael Tellinger is the founder of the global UBUNTU Liberation Movement of higher consciousness with members in over 200 countries, and the UBUNTU Party that participated in the South African elections in 2014 and 2016 under his leadership and also in the UK in 2015 and in Australia in 2016. Since 2007, Michael has presented his research in over 200 cities, in over 20 countries, sharing the stage with international researchers like Graham Hancock, Erich von Daniken, Robert Bauval, Jim Marrs, Robert Temple, David Wilcock, Kerry Cassidy, Seven Greer, Stanton Friedman, Andrew Collins, Klaus Dona, Valery Uvarov, Semir Osmanagic and many more. Before Michael Tellinger, there was only speculation about the origins of the stone remains of southern Africa, but with Michael's stunning discoveries it's now possible to reach into the minds of our ancestors to discover a purpose much greater than what we might have imagined.